Read the full details below and in the links given below before asking questions. For getting this scholarship, you need to have acceptance/consent from professor that he/she is ready to accept you for supervision in PhD, PhD exchange or in Medical and dental field and also to get university admission letter/ conditional letter. Now, since two years, we are checking that when we post this scholarship in given dates as they are announced (from August to September). The Pakistanis have failed to get acceptance. As most of the Swiss professors said that either they have already filled their labs, or no positions at all or most of the times students are not fulfilling the university requirements, so professor reject them immediately. Also, It is not easy to get acceptance from professor there, as you need to have very good profile and emails, CV needed to contact the professor, so that he/she gets impressed to take you as his/her PhD student. As Switzerland is one of the richest and beautiful places in the world. So, you have to make your level and attitude, aptitude much high before contacting professors there. Also, university admission deadlines for every university vary. 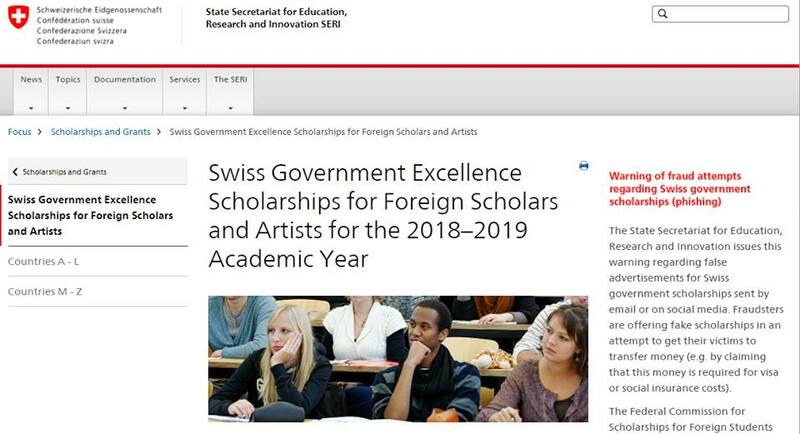 Now considering this problem by Swiss professors, we now advise everyone who is looking for PhD Scholarships in any fields, or doing PhD in Pakistan or medical dental doctors and want to go on exchange. Start looking for Swiss professors NOW. Prepare yourself now. Find desired Swiss professors, check lab requirements and university admission requirements, such as English test scores. (for those majors, who dun have labs, just focus on professor work). Contact Swiss professors in a very good way, so that they get impressed by your work which you have done in Masters degree and immediately accept you in their labs before they fill the labs with other people from other countries who are already contacting them. 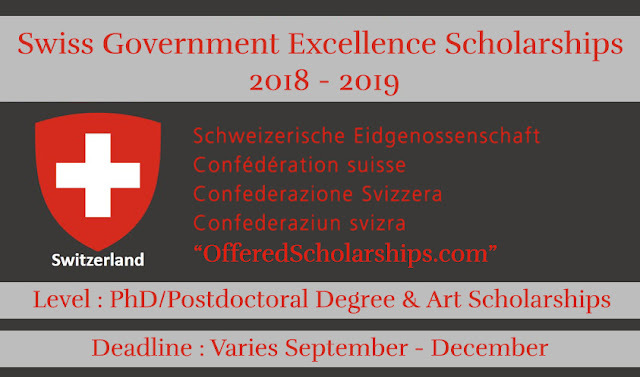 **** Swiss professors need very active and good profiles with research and academics. So, contact them in a very good way after reading their research work and relating your work/skills useful in their work. Because they reject immediately if you contact them using traditional emails and CV. Never ever ask them for acceptance letters directly, impress them first that they are ready to accept you in their lab, then ask for acceptance letters. After you get the acceptance letter from professor, you will have to start your process for admission and scholarship at the same time. It is your own responsibility to secure admission at Swiss University. 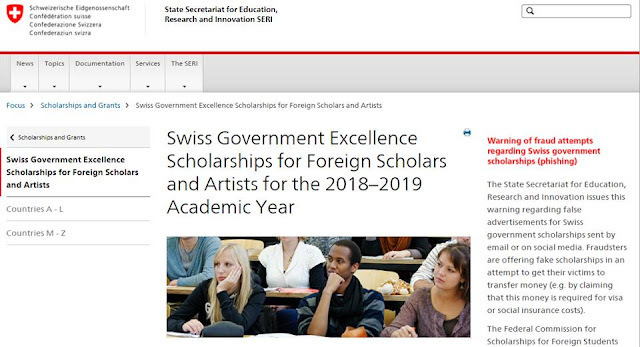 Contact local Swiss embassy in your country to get scholarship application. A full curriculum vitae with a list of academic publications, transcripts/Degrees, acceptance letter, letter of motivation (max. 2 pages), research proposal (max. 5 pages, use only the official form),short CV of your academic host supervisor, short CV of your actual academic contact person/mentor if possible, two letters of recommendation from professors in the applicant’s field (use only the official reference form provided with the application package from embassy), health certificate, passport. You will need to send via post 3 complete set to the local Swiss Embassy in your country. After shortlisting, you will be invited for interview in Swiss Embassy. Is English required in all of them ? Yes IELTS/TOEFL is necessary for Swiss Scholarship, you can try Chinese government scholarship or KAIST, South Korea scholarship which is without any English requirement. any scholarships for artists and designers ? Can't find scholarship application link for http://www.ofid.org/ ...any idea?